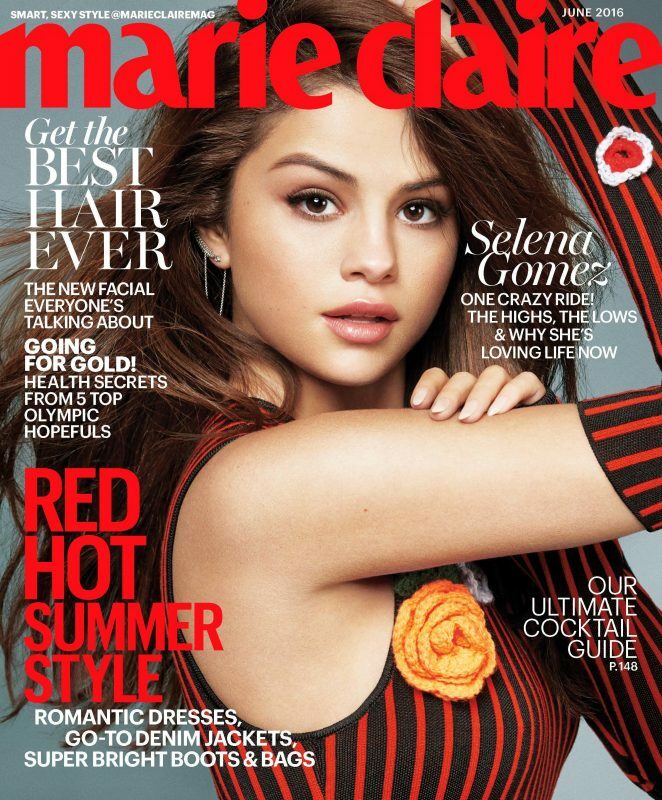 Pop Princess Selena Gomez is the star featured on Marie Claire magazine's June 2016 edition. The 23 year old, who recently kicked-off her Revival Tour in Las Vegas, wears Dolce & Gabbana for the cover, a skin baring striped red and black design. Selena talks about her career and dating for the magazine, saying 'authenticity is the key', and also mentions that she dates for fun but doesn't trust anyone. The singer at a recent concert, crumpled up a fan's sign that said 'Marry Justin Please', though last month she had commented 'perfect' on a picture of herself and ex Justin, which went on to become the most liked Instagram picture ever.